Sponsored: Are you affected by THIS banking trick? 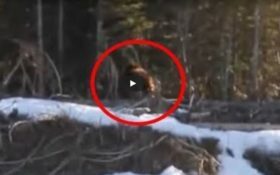 “While out for a walk near a river in the Canadian wilderness, a family came across a giant Bigfoot-like creature” the video introduction reads before it switches to footage of a strange brown object moving in the woods, just over a river bank. It’s clear the animal filmed is bigger than a normal man. But Bigfoot? It remains unclear. The video has gotten well over 460,000 views since being posted. But not everyone is convinced. Take a look for yourself and let us know what you think. Is this the legendary Bigfoot? 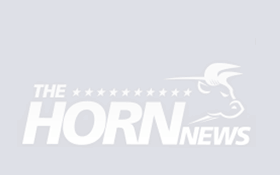 Or no? 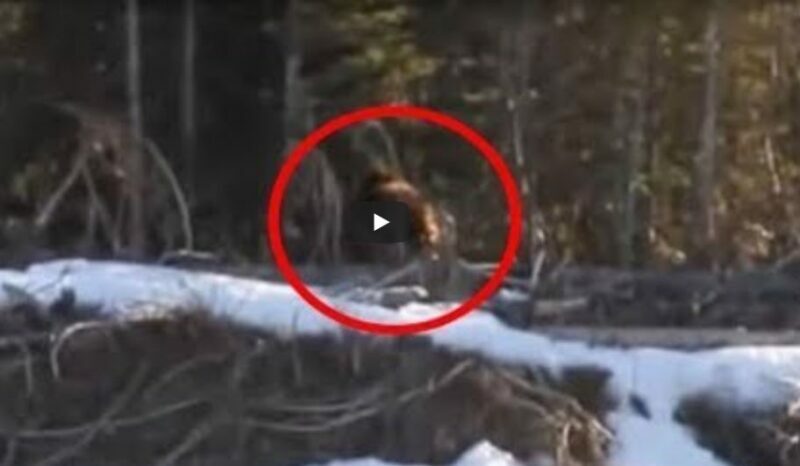 Is this video proof of Bigfoot? II don't know, but it's certainly weird! Don't be rediculious... that's just a bear. Are you sure it's not a space alien?